The following images are from WikiRadiography (Wet Paint) here. 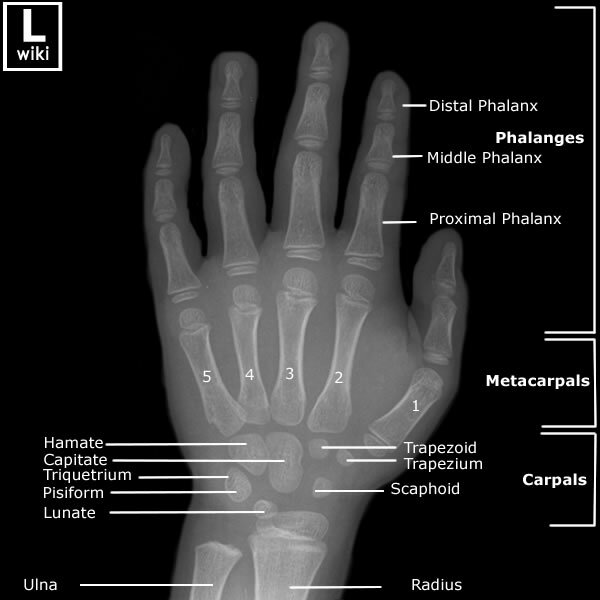 Frontal radiograph of the hand with labeled anatomy. 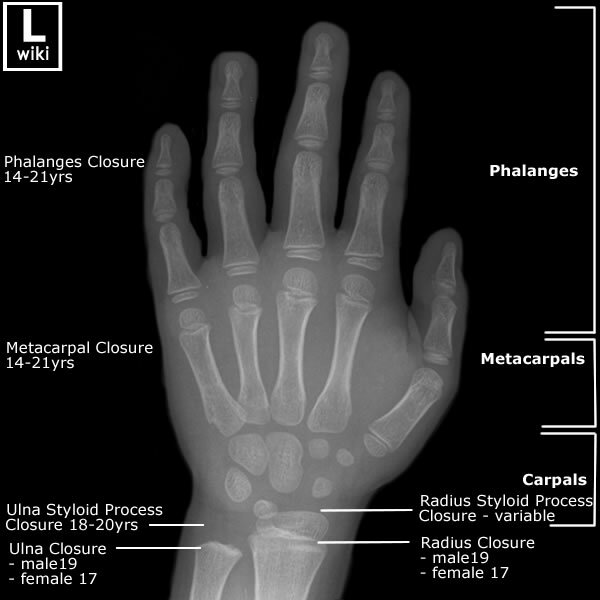 Ossification centers of the hand with labels.